Welcome Home Blog: THE NEW MARCH ISSUE! I just finished the March issue of the Welcome Home Online Magazine and I'm way ahead of schedule! Just wondering if anyone would like a bite of my carrot cake? This recipe will be featured in the next issue coming out March 1st. It's called The Perfect Carrot Cake.....and I promise it lives up to its name! 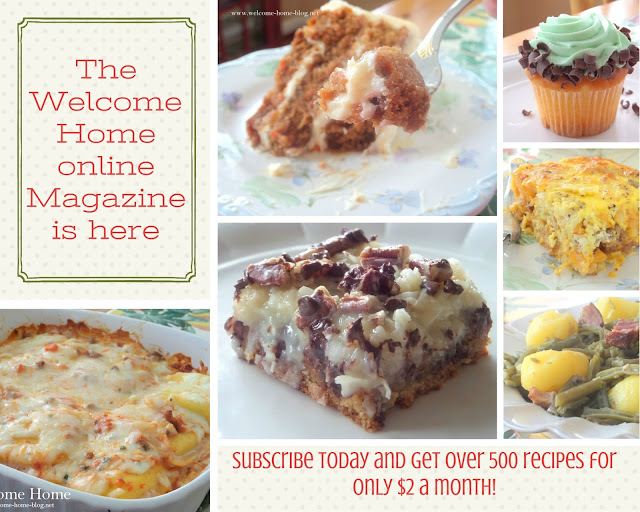 Plus you will become an instant member of the Welcome Home Recipe Fan club where you will find even more recipes that you haven't seen before. Now guess where this bite is headed?